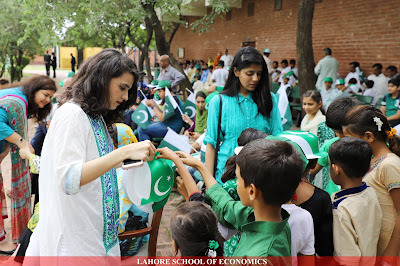 As per our tradition, 71st Independence Day of Pakistan was celebrated at Lahore School of Economics with national zeal and fervor. Dignified flag raising ceremony was attended by students, accompanied faculty and staff. 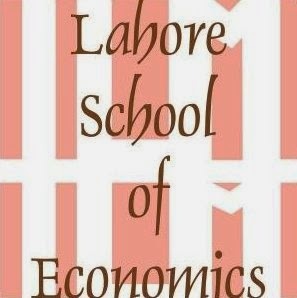 Dr Shahid Amjad Chaudhry, Rector Lahore School of Economics who was the chief guest hoisted the flag and smartly turned out contingent of guards presented a salute. 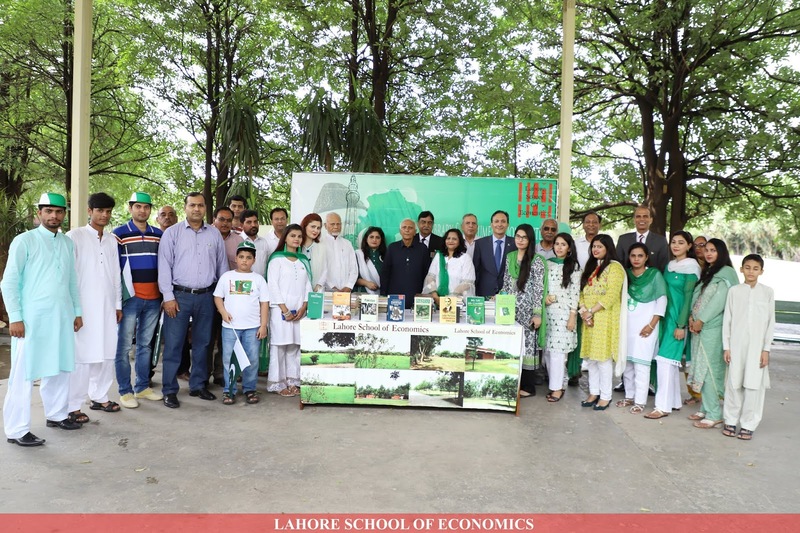 Addressing the enthralled audience, Dr Shahid Chaudhry threw light on the deeper history of Pakistan, some of the sacrifices that our ancestors had given to make it happen, and how Lahore School is contributing to it's economic development. Pakistan Day thematic cake was also cut. 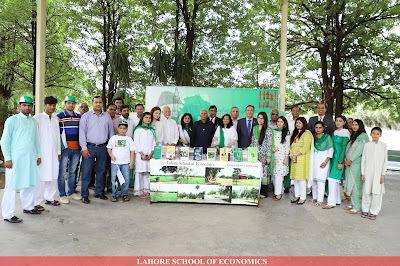 Lahore School Libraries and Document Center set up book stall where rare books about Pakistan Movement were displayed. Day long Lahore School Jashne-e-Azadi included multiple sports, indoor activities and colorful programs for children. Lahore School Music Society students put their best foot forward in performing live concert based upon acoustic vocals and boosted patriotism as well as enthusiasm in folks present there.